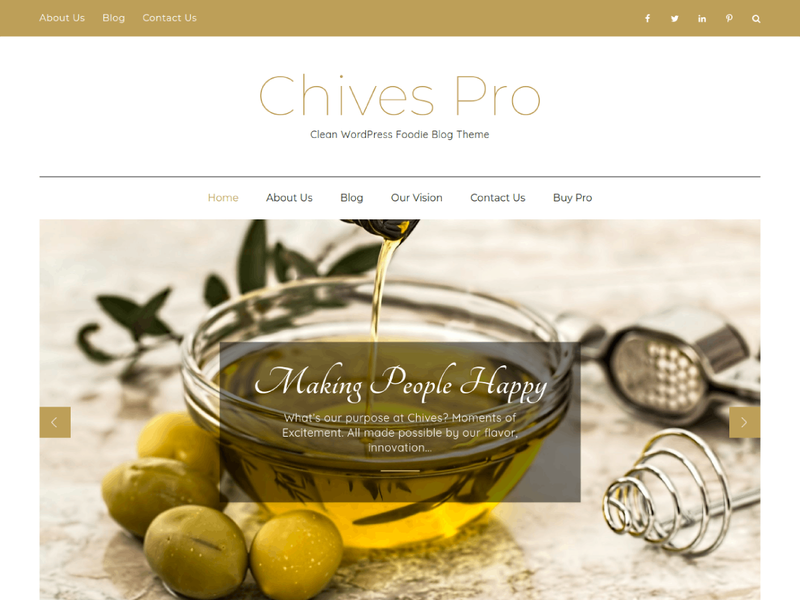 Chives Pro is a clean, elegant and responsive WordPress theme dedicated for foodie blogs and portfolio. Chives Pro theme has wide list of customizable features including front page customizable sections with customizer api and widgets, wide and boxed layout and many more options. It comes with cross-browser compatibility, mobile friendly design and responsive features.